The key to have a successful business online is to have a website that will drive web visitors to keep coming back. The fact of the matter is your website has to be mobile friendly. In the current millennium, most website visitors come from mobile. Your site can even be penalized by big search engines like Google, Yahoo, and Bing for not having a mobile friendly website. How difficult is it to make your website friendly? It is not that difficult as you think. Many people with lack of technical skills might be thinking otherwise. There are many resources available online that will help you to convert your website to a mobile friendly website. If your website uses WordPress template, you can simply go to the admin section of your WordPress site and go to the plugin section. From the plugin section, go to download, and type in “mobile friendly website” or “mobile website” – these keywords will populate hundreds or thousands of wordpress plugins that will convert your website to a mobile friendly website. After you convert your website to mobile friendly website, you will still have your website desktop look. What that means is whenever anyone access your website from a desktop, they will see the desktop look of your website. When someone access your website from a mobile phone, the mobile version look of your website will be seen. You just have to type in the name of your website in a search box provided on ThinkWithGoogle website. Google will them automatically review your website and provide you a report of your website within few seconds. 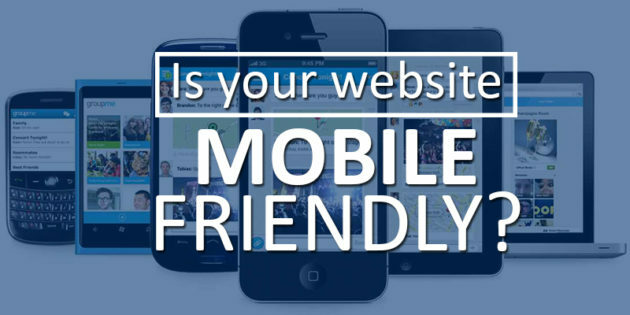 The report will tell you if your website is mobile friendly or not. ThinkWithGoogle will also give you suggestion on what you need to do to improve your website. Some of the few suggestions that ThinkWithGoogle provides recommendation on reducing the image size on your website, broken links, website load time etc. Every website report might be different depending on the status of your website. If your website is not mobile friendly, ThinkWithGoogle will immediately tells you that your website needs to be made mobile-friendly. If your website uses WordPress template, you can use MyThemeShop for your website themes. MyThemeshop already builds their themes to be mobile friendly. All you have to do is download their themes, and then upload the theme to your WordPress template. MyThemeShop provides a walk-through video that shows how to install your downloaded theme to wordpress. It is not that complicated. Mythemeshop has hundreds of themes from different niches that you can choose from. Should in case you can’t find any themes that you like on MyThemeShop website, you can simply search for wordpress themes that are mobile friendly on Google. You can type “mobile friendly wordpress themes” or “wordpress themes with mobile friendly“. If you need further assistance making your website mobile friendly, we are here to help you. Contact us HERE or leave a comment below. As an entrepreneur you need to have a good looking website that looks appealing to your mobile visitors. In addition, a good mobile looking website will help you to convert your website visitors to subscribers and buyers.